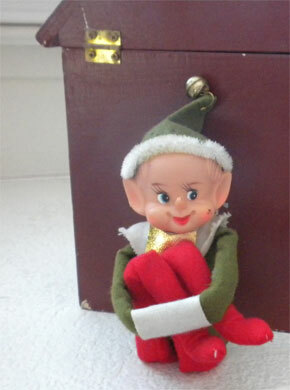 This is a Vintage Elf – Made in Japan. He measures about 11 1/2"
inches from tip of hat to tip of toes. Has the original Made in Japan tag attached to backside. Some minimal wear from aging, and a small spot on cheek and tip of nose, but over all in GREAT condition! !